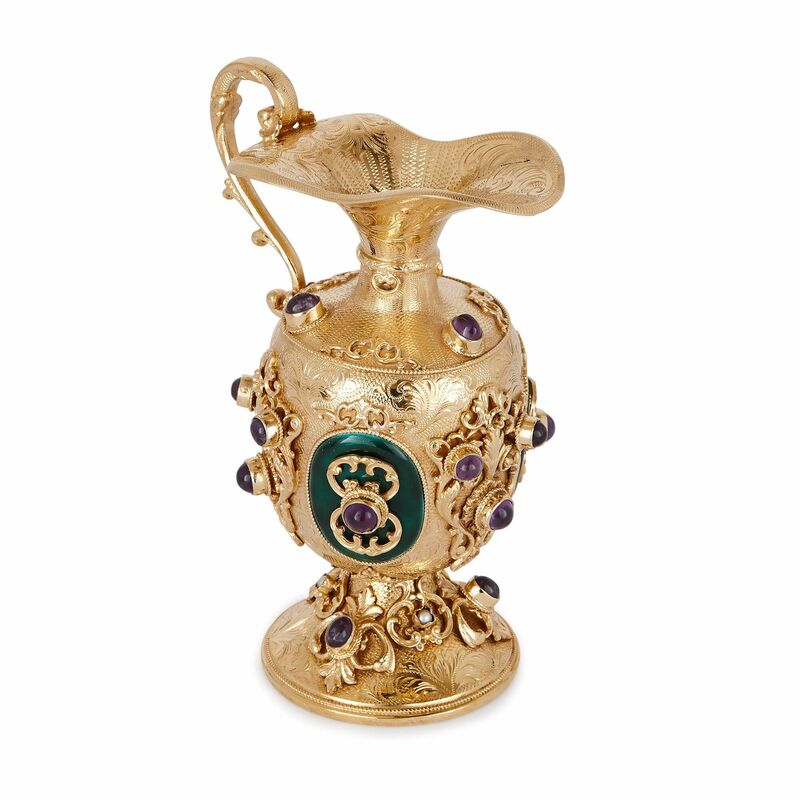 Exquisitely crafted in Austria-Hungary in the early 20th Century, this fine object is decorated in precious materials, including amethyst and pearl inlays. This piece consists of a miniature ewer, which stands on a shallow basin. 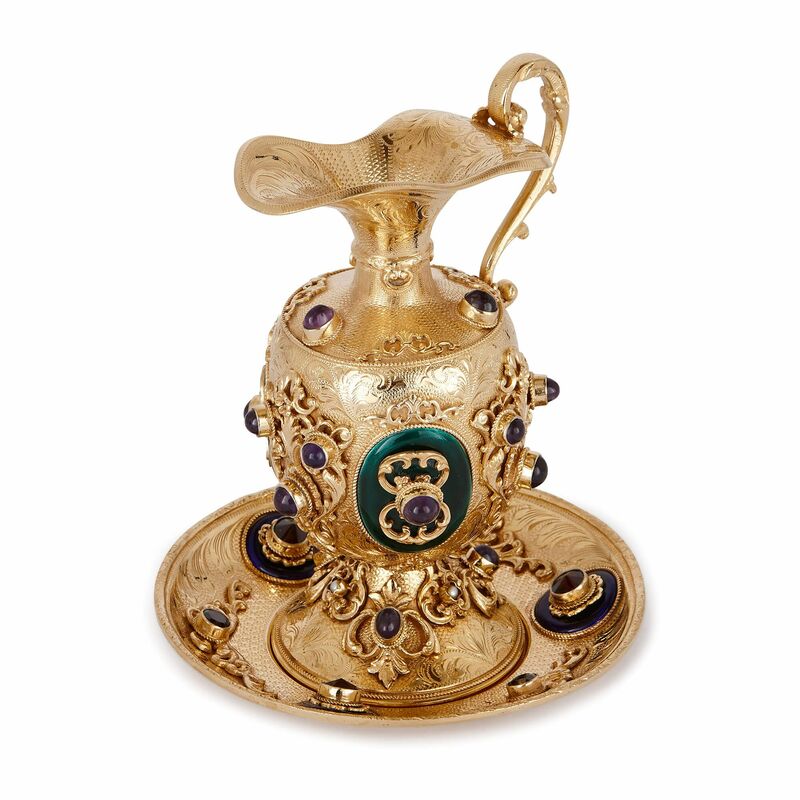 Both items have been fashioned from silver-gilt, which has been embossed and enamelled, and mounted with silver-gilt forms and precious stones. Embossed motifs of leaves and flowers ornament the centre of the shallow basin. 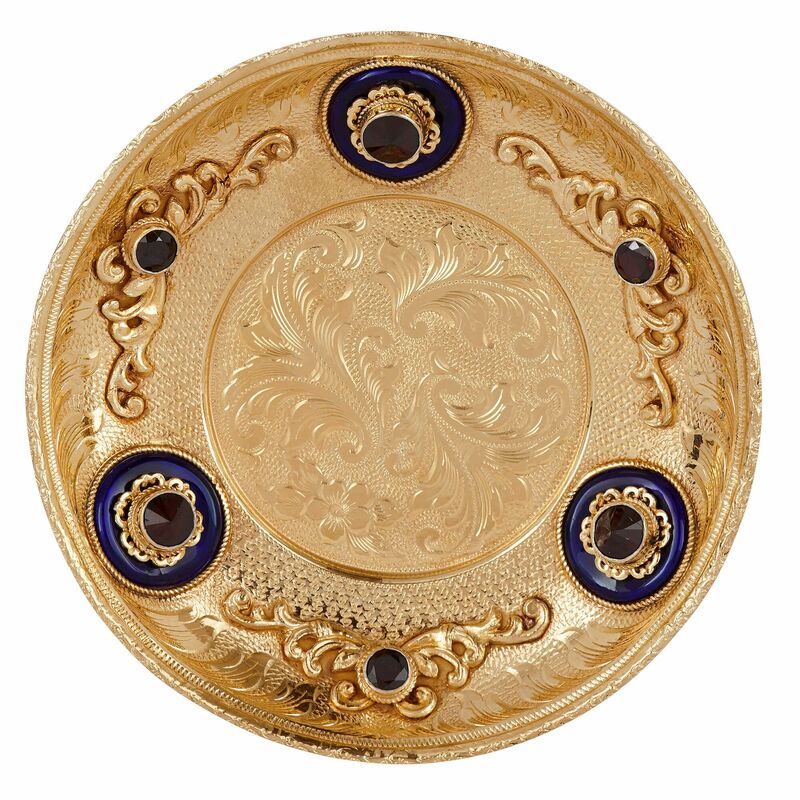 This design is encircled by a band of applied ornament, including circular, deep-blue enamel medallions and silver-gilt mounts. The medallions, of which there are three, are set with purple jewels at their centre, and ringed by beading. Three scrolling, foliate silver-gilt mounts, similarly set with purple gemstones, occupy the spaces between these medallions. 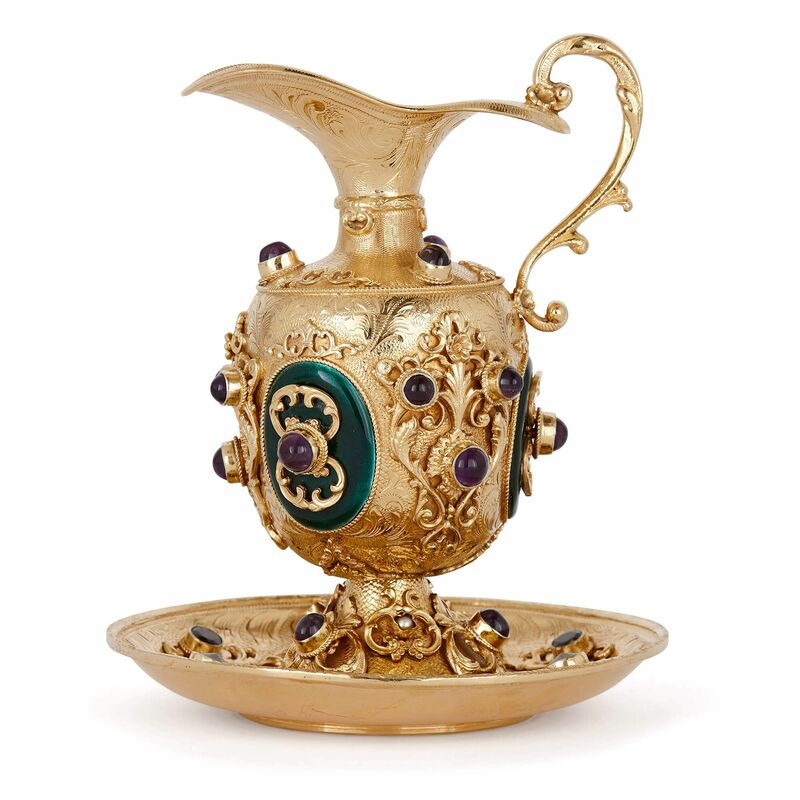 Like the basin, the foot of the ewer is embossed and mounted with scrolling forms, which frame precious gemstones. The large purple jewels alternate, in their position around the foot, with smaller pearls. This style of decoration continues up onto the ball-shaped body of the ewer. This body is covered in embossed work and silver-gilt mounts, which take the form of palmettes, flowers, unfurling leaves and curling vines. 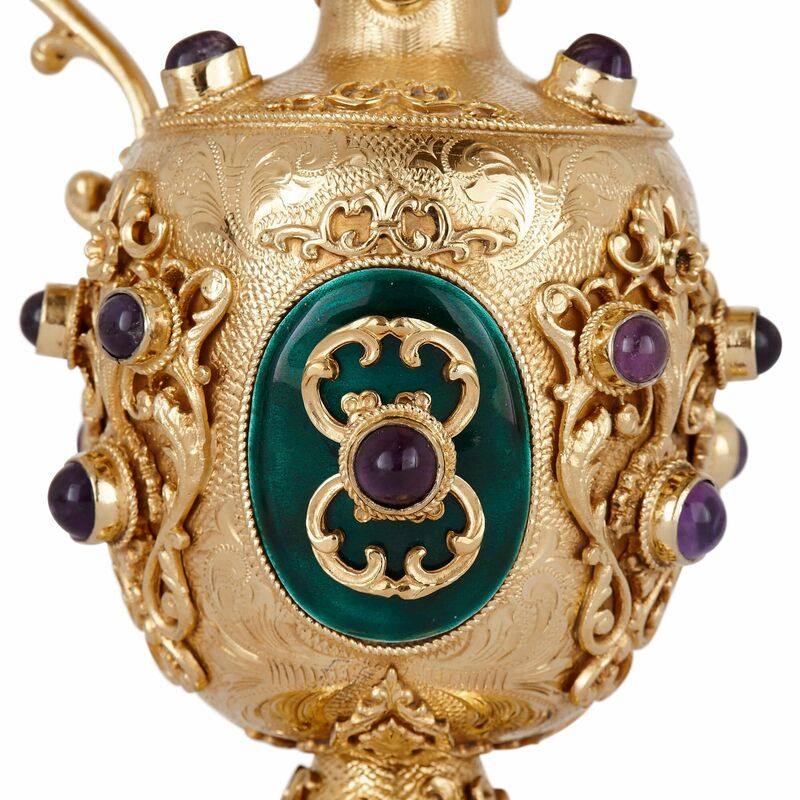 Three large purple gemstones, arranged in an inverted triangle and surrounded by scrolling mounts, appears three times on the ewer body. 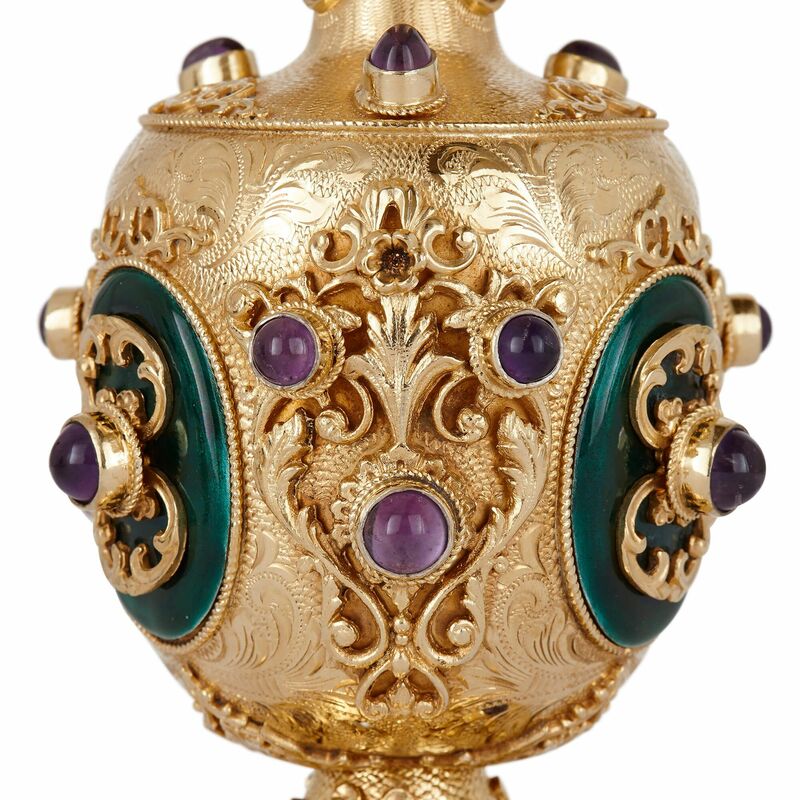 This design alternates with one formed of an oval medallion of dark green enamel, which has a large amethyst at its centre and is framed above and below by scalloped semicircular silver-gilt mounts. The shoulders of the ewer are similarly embossed and mounted with strapwork shapes, along with three more large purple jewels. From the shoulders, there emerges the neck, which is ringed by a simple band, decorated with vine patterns and a few U-shape scrolls. Above, the neck is embossed with more elaborate scrolling forms, before widening out to form a spout. 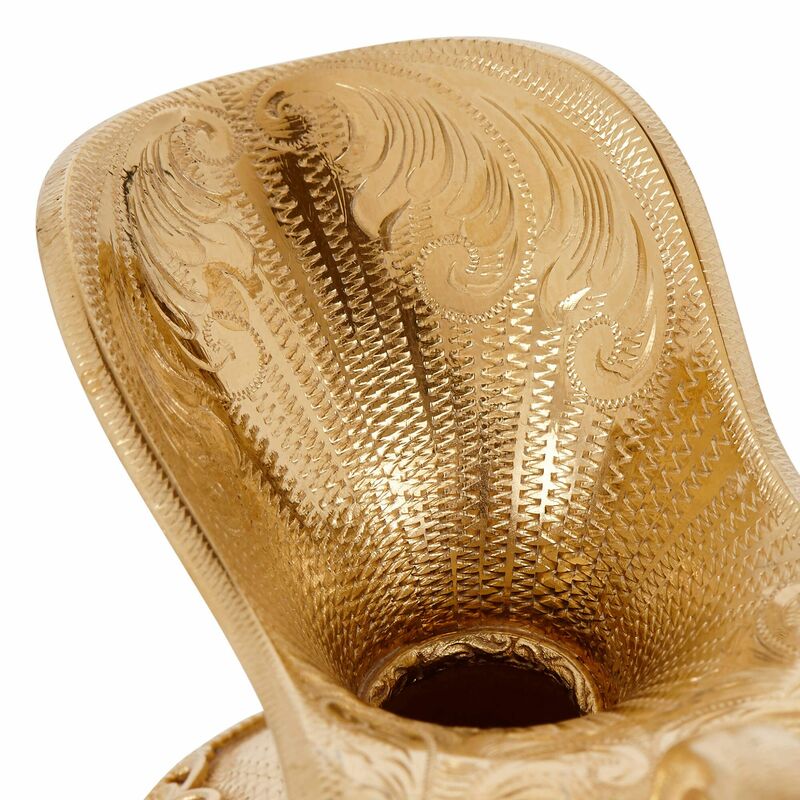 The mouth of the piece is broad and wavy-edged, and decorated with embossed zigzag lines, as well as winding leaf patterns. A handle springs from the mouth edge, curving up and then back down to meet the shoulder of the ewer. Crafted from silver, this ewer has been embossed, mounted, gilded and bejewelled, resulting in a truly exceptional piece of workmanship.